Dorset’s Douch Family Funeral Directors have put their customer-facing staff through ‘Dementia Friendly’ training courses. More than 20 employees from the eight branches are now better able to recognise the condition and can deal more effectively with those who live with it. Peter Jones, an academic, author, and chairman of the Corfe Mullen Dementia Friendly Community in Dorset ran the courses. He said: “The training is aimed at increasing awareness and making people more sensitive to the needs of those living with dementia. “These are nationally-recognised courses and the more people who take them the better because increasing numbers of people are being diagnosed. “It may not be immediately obvious that someone has dementia and there are many forms of it that can cause problems with memory, everyday tasks, communication, perception and sensory experiences. 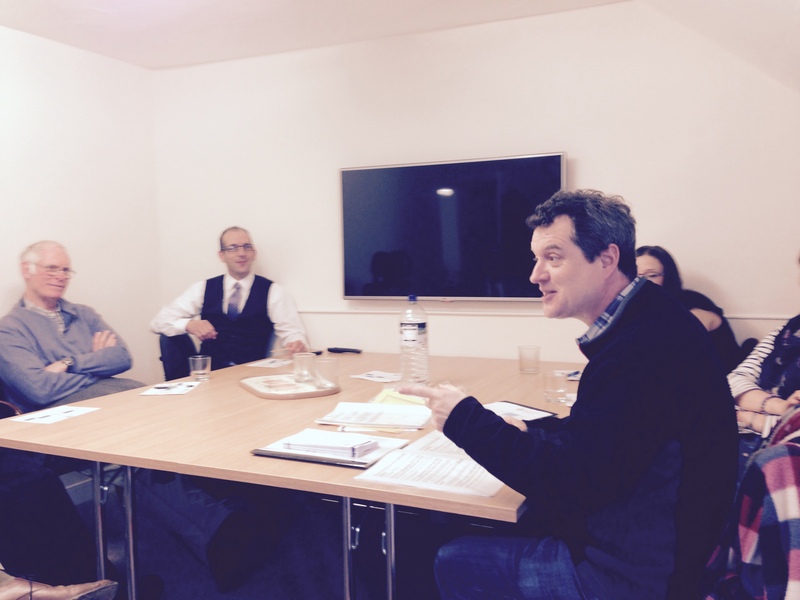 “The courses deal with how to recognise the signs and what people can do to help. 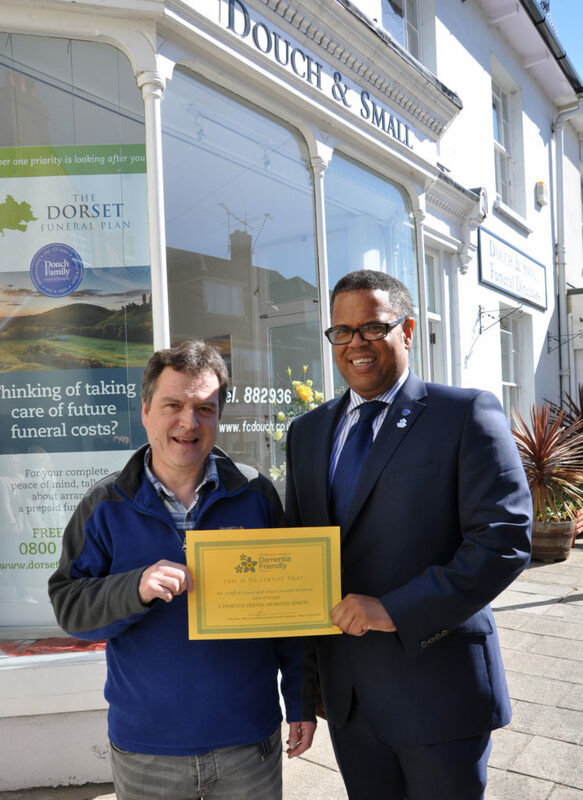 Nick Douch, MD of Douch Family Funeral Directors, which is one of the county’s first companies to achieve accreditation across all branches, said: “We are seeing an increase of people who are living with dementia, whether it being themselves, or a family member. “In the future one in three people over the age of 65 is likely to suffer from some form of dementia so we felt it important to be able to know how to recognise the symptoms and be better prepared to help. “When we arrange a funeral our families sometimes want to know how to involve a parent who has dementia. “Someone might have no short-term memory but will be able to remember songs or memories from decades previously, so we can incorporate those into a funeral so the person with dementia feels included and will have a connection with the service.